Welcome to the new year of 2015! Glad you made it to get these free mp3 downloads. These are the hottest items out because you are always receiving the best music, non-stop, daily. Nothing else comes close. 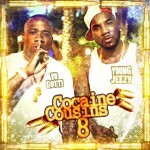 The 8th installment in the “Cocaine Cousins” mixtape franchise is out. This edition features Atlanta, GA emcee Young Jeezy and Memphis, TN rapper Yo Gotti. Both rappers are some of the best in the south. This drop plays you 17-tracks of new and classic hit songs with appearances by Akon, Waka Flocka, Pill, DJ Holiday, Gucci Mane, Jay-Z, Lil Boosie, Diddy, August Alsina, and many other music artists. 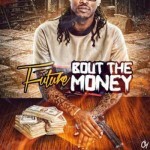 The Future product titled “Bout The Money” gives you 18-tracks from the Atlanta, GA rapper. This mixtape showcases the latest hits from the “Freebandz” emcee. Artists appearing with Ciara’s former fiance are Sean Garrett, Rocko, Wiz Khalifa, Juicy J, Keyshia Cole, Lou Williams, T.I., Meek Mill, Hudson Mohawke, Drake, Swae Lee, Problem, and more top performers. 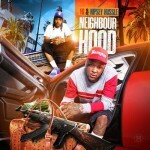 West coast rapper YG is coming straight out of Compton, or Bompton as he likes to call it, along with well-known Nipsey Hussle and are featured on the release titled “Neighbour Hood”. This mixtape has 18-tracks from the Los Angeles emcees. Appearing on tracks with the two are Charlie Hood, Fat Trel, Rick Ross, D-Lo, Mack 10, Jay 305, Rich The Kid, The Neighbourhood, Rich Gang, 400RJ, and more on this west coast product. Lil Boosie was recently released from prison and has been coming out strong since his release. 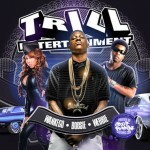 The “Trill Entertainment” release features artists on the imprint with the same name. The main title features on this product are Lil Boosie, Webbie, and Wankego. Others appearing with them are Foxx, Lil Snupe, C-Murder, Trey Songz, Young Thug, Lil Trill, Shell, K. Camp, Snoop Dogg, and Rich Homie Quan. Finally, we have a mixtape featuring artists from the mid-west or as it should be called, Chicago. 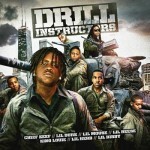 “Drill Instructors” gives you Chi-Town artists Lil Durk, Chief Keef, Lil Mouse, Lil Herb, and Fredo Santana. Many of these Chicago artists have a down south flow and rhyme over southern production. Features by Alex Wiley, Ferrari Ferrell, Yo Gotti, Tory Lanez, Jordan Hollywood, Shy Glizzy, Young Chop, Lil Twist, and more. Ring in the new year with the best and hottest music site on the internet! We are always mobile compatible with no extra apps to install. Just load up your mobile browser and type in the buymixtapes.com web address, it could not be any easier. We have the nicest layout to make your mixtape experience the best.